You are here: Home > Shop by Manufacturer > Discovery Products Corp. 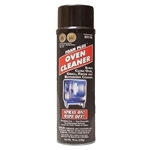 Discovery Brite Shine Aerosol Clean and Polish - 11 Oz. Ice Machine Nickel Safe Cleaner - 8 oz.